Kaushik is a 10 year old boy. 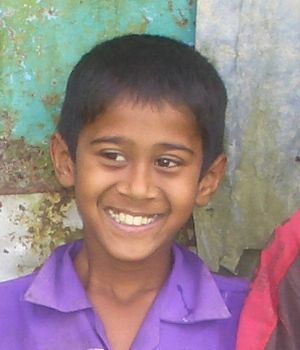 Kaushik is one of 3 boys who were sadly abandoned by their mother. His father is in ill health and struggles to provide for the family by working as a farm labourer. 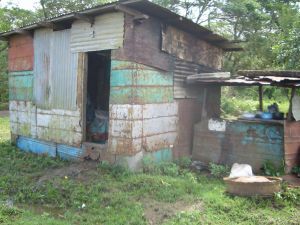 The family lives in a single room dwelling without power, water, kitchen or bathroom facilities. Cooking is done outside with fire wood. Kaushik enjoys attending school and his favourite subject is maths. Kaushik travels to school each day on foot, walking around 1km each way. This little boy comes from a very poor family with his father is struggling alone with the care of three children.